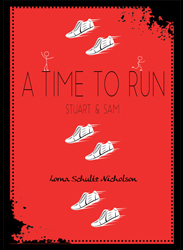 “One of the strengths of “A Time to Run” is the voice. The perspective changes back and forth from Stuart to Sam, and the individual characters speak in very specific, distinct voices. Stuart’s is especially interesting; short, choppy sentences reflect his impulsive nature and give him a childish quality, despite his age of fourteen. Longer, rambling sentences let readers into his jumbled thoughts. The changeover to Sam’s perspective in alternating chapters is smooth but distinct. His chapters show more reflection and successfully display the inner thoughts of a teenage boy who is in the middle of a huge life upheaval.